The two Koreas have agreed to hold a joint summit and set up a telephone hotline between their respective leaders. The North is willing to abandon its nuclear arsenal if its security is guaranteed. 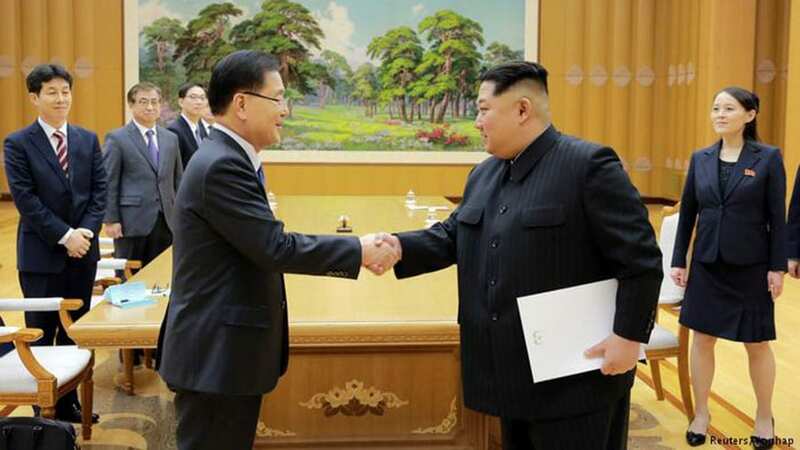 North Korean leader Kim Jong-un greets Chung Eui-yong, head of the presidential National Security Office, in Pyongyang, North Korea. 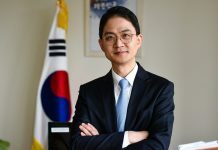 South Korea on Tuesday said it has agreed with North Korea to hold a joint summit in late April and to set up a telephone hotline between their leaders. 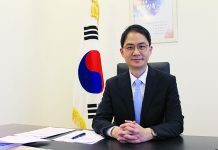 South Korea’s presidential national security director, Chung Eui-yong, also said the North had agreed to abandon its nuclear weapons if military threats against the country were resolved and if it receives a credible security guarantee. 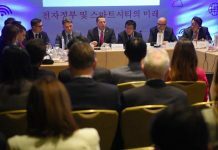 The talks will take place at the Joint Security Area (JSA) in the Panmunjom border village and will be the first North-South summit in more than a decade.